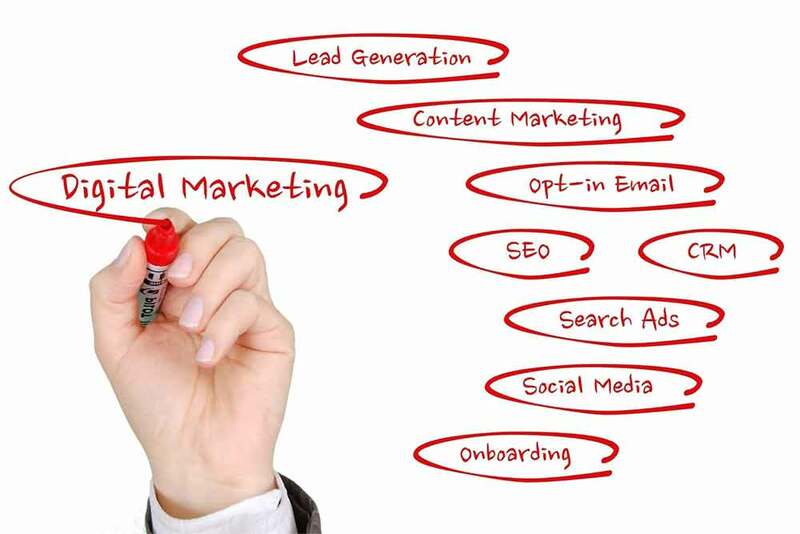 Blending Digital Marketing Channels for Success! BlogHome » Blending Digital Marketing Channels for Success! We often get clients that come to us seeking management or advice on a single digital stream; Social media management, SEO strategy, PPC management, Content marketing or Email marketing – looking for the single golden ticket that will bring the mass of qualified leads or conversion to their website. Nowadays, however, every company that wants to see a profitable ROI and success in the arena of digital marketing needs to diversify and acknowledge the ever-changing landscape of the not only digital marketing but the savvy buyer. It is, for the most part, common sense that marriage between strategic SEO and a good targeted PPC campaign has huge benefits if done in a focused and data driven manner. Like all digital channels it needs to be nurtured and constantly revised and adjusted to produce the best results. Focusing such strategies on geolocations has become a winning combination. This focused strategy has many elements to it and needs to be thought through. This strategy is not limited to you having a brick and mortar presence in a specific location. You always need to bear in mind the buyer and how they will perceive you. If I am looking to have a new roof fitted on my house I will, most likely, search for roofers Brighton, or due to my location and Googles location based SERP will provided be with these “location” results. Now, if I am looking at ads, as a consumer, and I notice that “Brighton” or the surrounding location is not in the add I will move on. If I am a consumer looking for a service, I subconsciously want someone local. If it is a pair of socks I will be far less likely to care where they are coming from. Now, if I click on an ad which I believe is within my local comfort zone and the landing page is also talking about all the projects this roofer has done in my location my geo-mindset is virtually eliminated. The first impression will be the overriding factor and if I am convinced that this roofer will provide the best service for the best price he will get the job despite the actual location of the company. Now, if I initially see that they are located outside my geo-mindset comfort zone I will be highly unlikely to go any further, in my mind I want the service provider local. Another very good pairing of digital streams is the combination of email marketing and Social media, namely Facebook. This works extremely well if you have good clean data and robust data segmentation. This takes time and effort, but will be well worth it, especially for ecommerce. Used in targeted campaigns for services or products you can remarket from the email campaign to Facebook ads. There are also ways to blend this in to AdWords retargeting, but for now we will keep it simple. Let’s say I am selling office furniture. My email campaign goes out; it is a special offer to those who have purchased office desks in the last 3 months. My email campaign will be focused around desk accessories. Those who are tracked engaging in a specific product, like an office chair will get retargeted though Facebook with my office chair offer, perhaps even discounted slightly more than the original email offer. Those who have engaged on a wider level will get a general Facebook advert. Again this takes time and effort but keep on it and watch your conversion rate rise as you become more savvy with the ads and the campaigns. With the constant changes in the digital marketing world, you really need to keep on top of the potential combination of digital streams and how they can work together. Do not get stuck relying on single streams like Google AdWords or Social media marketing, you need to be thinking and testing and letting the data drive your strategies. A small investment in expanding out your digital marketing reach could have huge rewards. next post: The Ultimate Infographic Guide to SEO Friendly URL’s!